Sounds like the city by Houston (Kemah), tastes a lot less salty. I whipped up this recipe for two reasons: we have a whole lot of ground venison left, and the original post said it was insanely kid friendly. I know that curry doesn’t usually come to mind when you think of the kinds of food that kids love, but as long as your curry powder isn’t too spicy, it’s totally a kid dish! It’s kind of like a sloppy joe with an international twist. It can be as spicy or mild as you want it. 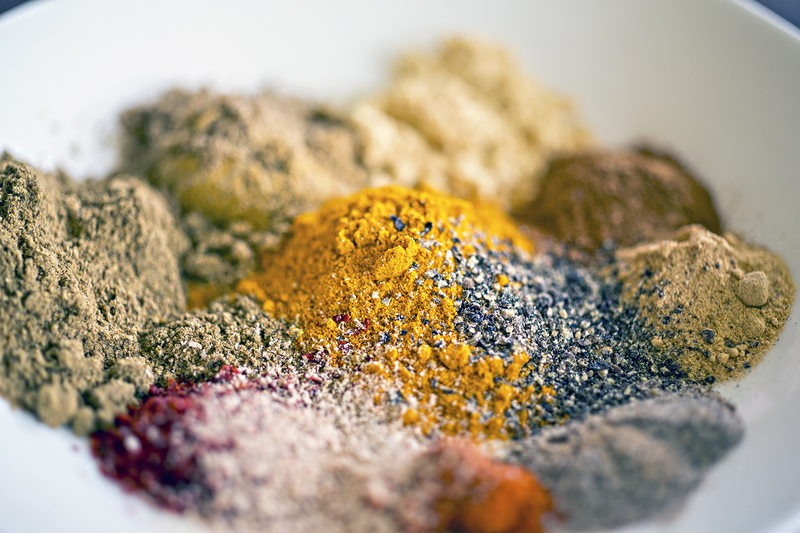 This time I tried my hand at making my own curry powder blend – an easy option if you can’t find something mild enough for your family’s palate! I think Kima is pretty much like all other curry recipes in that it varies in every household. This one is specifically to my tastes, hence the use of sweet potatoes instead of regular potatoes, I went easy on the tomatoes and used green beans instead of peas. I don’t know what it is, I just don’t like peas. Never have. Maybe it’s because I’ve never had fresh peas. I bet fresh peas are a different story, but I digress. You can use 2 cans of tomatoes, or 1 can plus tomato paste if you are a tomatoey person. You can also throw in just about any vegetable you have on hand, just be cognizant that the potatoes need time to cook, so add other veggies with the green beans if you’re using a veg that tends to get mushy. While this dish by itself was pretty good, it was also a smidge boring and really needed to be taken up a notch. Enter the goat cheese. (Or in my case Boursin, because that’s what I had too much of from a Costco impulse buy.) The goat cheese melts into the sauce creating this tangy, creamy curry and also thickens the sauce a little if you’d prefer something a little stewy over soupy. Kima is also ridiculously good when eaten in a pita pocket. I like to call this: pocket curry! Look how gooey that goat cheese gets! Heat the oil in a pan or dutch oven over medium heat. Add the onion and garlic, sprinkle with a little salt and sauté until soft. Add the spices, a little more salt and pepper and the meat, and cook until the meat is browned and cooked through. Add the potatoes and tomatoes to the pan, bring to a boil then simmer for about 15 minutes, or until the potatoes are on the snappier side of al dente. Add the frozen green beans, give it a good stir, bring it back up to a simmer and continue to cook until the green beans are cooked through, about another 10 minutes. 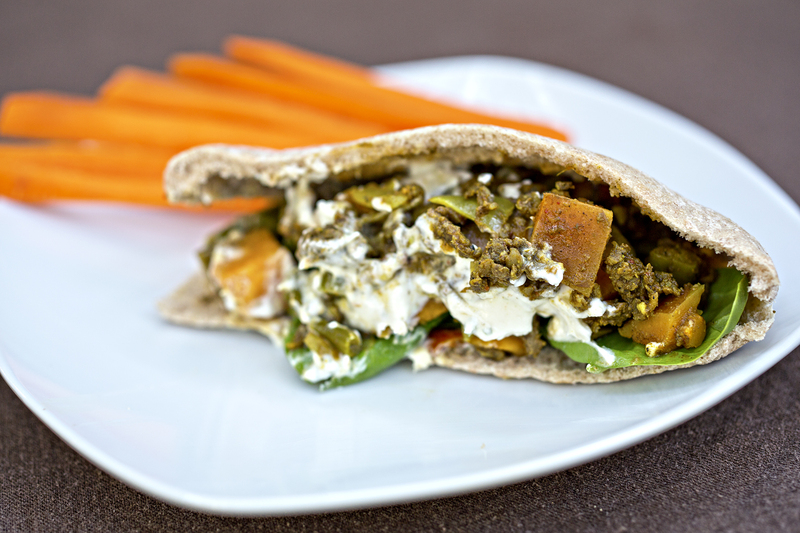 Top with goat cheese and serve with rice or in a pita pocket. Non game substitution: This is traditionally a beef dish, though any ground meat would likely suffice. Vegetarian substitution: While I have not tested this, I’m pretty sure the chickpea would rock the socks off this dish.